ADD WARMTH AND BEAUTY TO YOUR SHED WITH A PERFECT POP OF COLOR! YOU ARE CERTAIN TO LOVE THIS LONG-LASTING SIDING. 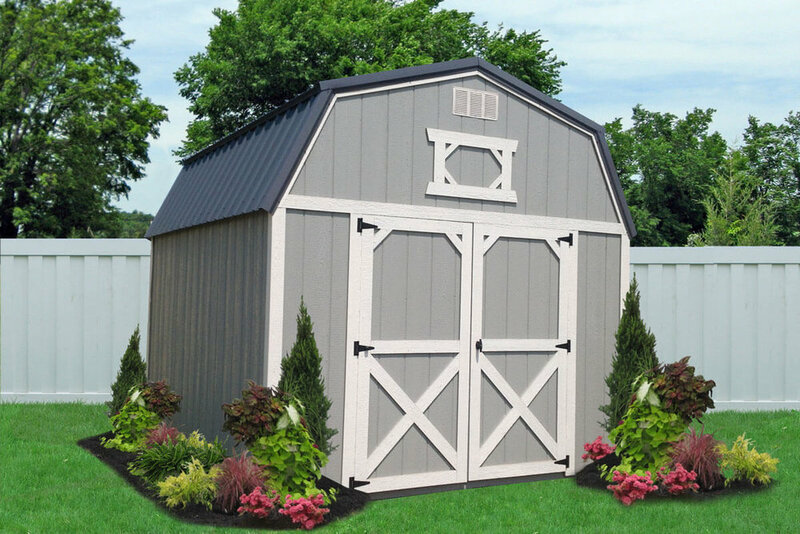 Available in A-Frame and Lofted styles, our painted sheds feature LP® SilverTech siding. This siding offers all the warmth and beauty of traditional wood but with outstanding durability. It has a tough composite face that will not crack or split and holds our premium paint perfectly. As a standard feature, the radiant barrier on the walls and roof help keep the sheds cooler in our hot Carolina summers. With normal care and maintenance, your painted building will be ready for decades of exposure to the elements! The classic A-Frame design fits perfectly into almost any landscape! Design yours with doors on the end or the sides. You also have a variety of options to add to your shed, including windows, ramps, and workbenches. *Prices shown do not include local tax. Rental prices based on monthly payments of a 36-month term. Why Choose A Painted Shed? We use premium paints designed specifically for outdoor wood structures. With a 10-year color fade, you can spend your time doing the things you love, instead of on shed maintenance. Our painted sheds stay cooler and brighter than the typical shed. As one of our awesome STANDARD features, we include a thermal radiant barrier on the walls and roof, making it more comfortable to spend time in your shed. You can dress them up, or keep them simple. One fantastic way to use your painted shed is as a gardening shed. Add shelves and workbenches to hold your pots and bags of seed. Choose pegboard to hang pruning tools, rakes and shovels. Design A Shed For Your Life! 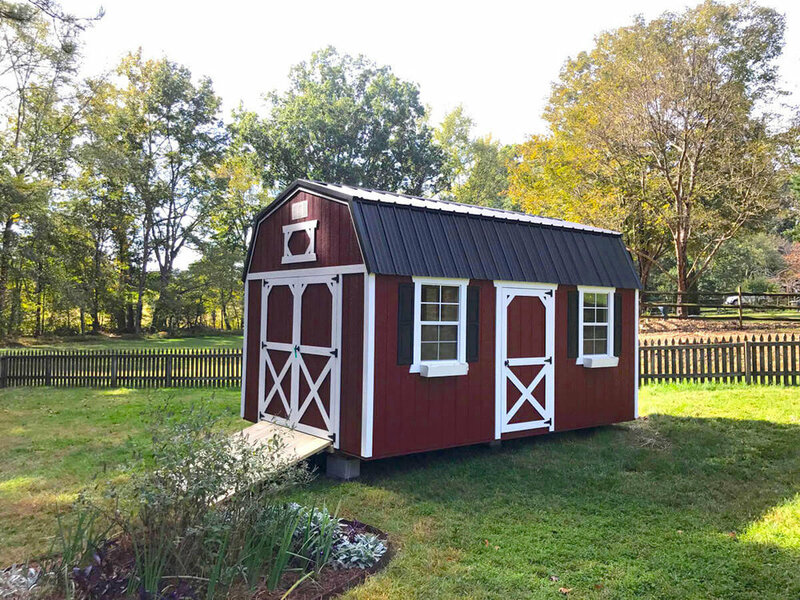 Maximize its usefulness by adding one of our custom packages to create a garage, home office, fishing cabin, kids’ playhouse, or handyman shed of your dreams!